Find a Physician: Your guide to more than 3,000 Colorado physicians. Let’s face it: Most of us race through the grocery store, checking foods off our go-to lists to make our go-to meals. Even when we have more time — say, we’re strolling around the farmer’s market — it’s not likely we’ll pick up a fruit or veggie we’ve never eaten or cooked before. Yet there’s good reason to be a little more daring when it comes to what we eat, says Jessica Crandall, a registered dietician with Vidal RD and a national spokesperson for the Academy of Nutrition and Dietetics. Not sure where to start? Here, Crandall and Laura Fry, a registered dietician at Weigh to Wellness in Denver, share their recommendations for the healthiest foods Coloradans aren’t eating enough of — yet. Sometimes confused with sprouts, these are immature greens, harvested less than a month after germination. Why eat them before they mature fully? Well, because some studies suggest microgreens may actually contain higher concentrations of nutrients compared with mature veggies. “Microgreens are such a nutrient powerhouse,” Crandall says. 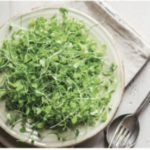 Look for microgreen celery, basil, mustard greens, radish, and watercress — and mix into salads to boost flavor and get more vitamins, minerals, and antioxidants, says Crandall. This root veggie is easy to overlook. After all, it’s not commonly served in this country — and most recipes don’t call for it. 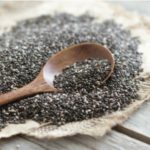 However, it’s on this list thanks to its high levels of phytonutrients, including copper, iron, vitamin B6, vitamin C, magnesium, manganese and prebiotic fiber. 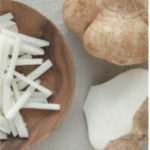 “These nutrients help strengthen your bones, manage your blood pressure, and boost your immunity,” Fry says. Start adding this sweet-tasting, crisp veggie to your diet. Crandall suggests serving it alongside carrots and celery sticks, adding it to salads, or slicing and serving it with tomatoes and a drizzle of balsamic vinegar. Too many of us aren’t getting enough potassium, fiber, and magnesium, says Crandall, which can increase our odds of developing cardiovascular disease. Lentils are loaded with all three nutrients, making them a great addition to your diet — particularly as you age. While you might think Indian food or Southwestern dishes when you think of legumes, Crandall recommends they be added to eggs at breakfast, sprinkled on top of a salad for lunch, and even pureed and added to baked goods. 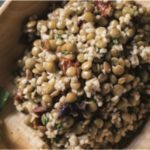 Bonus: Lentils are an inexpensive way to add protein to your meals, adds Fry. When summer’s over, there’s a good chance you stop adding antioxidant-packed, anti-inflammatory basil, dill, cilantro, and other herbs into your meals. 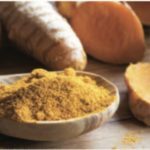 Enter turmeric, which Crandall says is a great (and often overlooked) way to match the antioxidants found in fresh herbs and add a different flavor to meats and veggies. Tip: Crandall likes adding a sprinkle of turmeric on top of roasted cauliflower instead of salt and pepper to give it an Indian-inspired flavor. Unless it’s St. Patrick’s Day and you’re pairing it with corned beef, there’s a good chance you don’t eat much cabbage. “It is underutilized in most areas of the United States, but especially in the Colorado area,” says Fry. “That’s a shame, because it is a very low-calorie food — one cup is just 22 calories — and very high in fiber, folate, vitamin C and vitamin B6.” To increase your intake, start adding shreds of cabbage to tacos, salads, and sautéed veggies. “When you eat local honey, it helps you build up an immunity to the allergens and tree pollens in your area,” says Fry. Luckily, Colorado is a state with plenty of local honey suppliers. Find one at your farmer’s market or even your local grocery store. 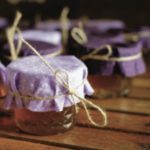 While you’ll want to keep your intake in check (honey is still a form of sugar, after all), Fry says the fact that there is little processing from hive to table makes honey one of the best sweetener choices. Please be respectful while leaving comments. All comments are subject to removal by the moderator. © healthwellnesscolorado.com. All Rights Reserved.